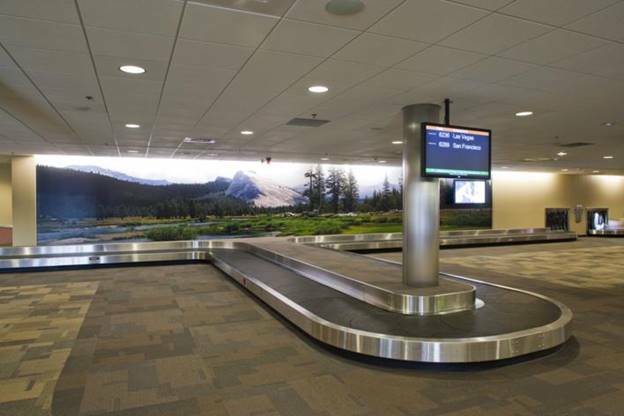 Baggage Claim area is located in the main lobby near the ground transportation center. The baggage might be taken from the two baggage carousels equipped with the LCD monitors. Info Center helps in trip planning, provides hotel and other tourism-related information. The center is located in the main lobby in from of the entrance to the terminal. The staff of the Info Center is from the HandsOn Central California volunteer professionals. Lost & Found is located on the left from the Baggage Claim area. Airways Municipal Golf Course is a course targeted for the golf-players or those that are interested in golf. The address of their office is Sierra Golf Management Inc., 23525, Robertson Blvd., P.O. Box 788, Chowchilla, Ca. 93610.